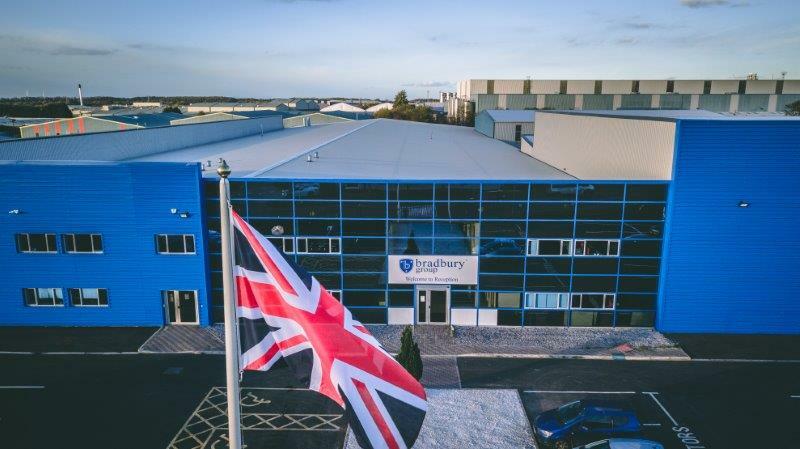 Leading UK manufacturer of steel doors and physical security solutions, Bradbury Group, are announcing their move into their new headquarters located on Foxhills Industrial Estate in Scunthorpe, North Lincolnshire, totalling an investment of around £8 million. 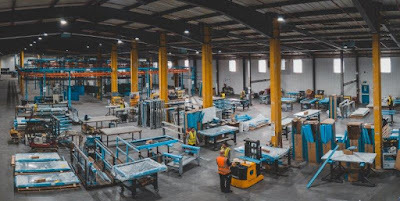 The new 135,000 sq ft production facility is an integral part of a mass expansion plan to be rolled out by the company, which is now in its 28th year of production. As part of the expansion, the company have invested several million pounds into new state-of-the-art machinery, including a new Salvagnini punch form line and a new fully-automated powder coating paint line, to provide service levels unlike any other in the UK. 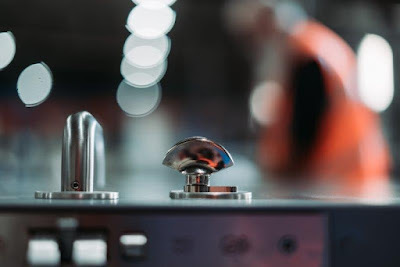 This innovative, streamlined process achieves unrivalled production timescales and product quality, and has significantly reduced any work in progress and the need for heavy manual handling by its employees. 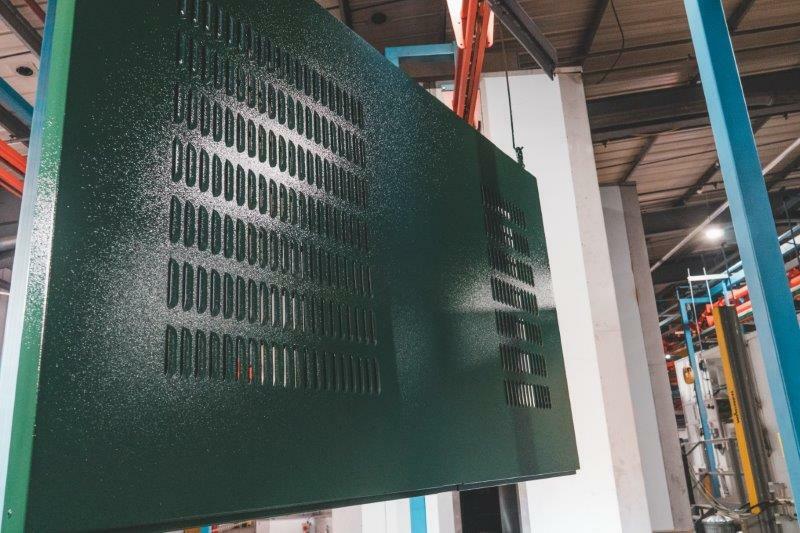 As a result of this investment, Bradbury Group have also announced their new three-day express steel door service, called M2MGO, for those customers that require an immediate, rapid solution or replacement security door. 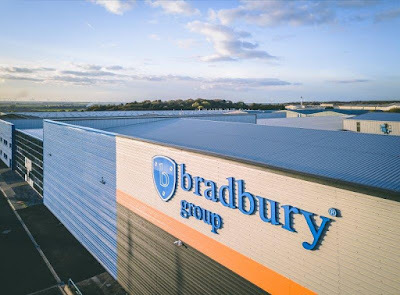 The vast scale of the new premises means it can store up to 4,000 finished units, 10 times more than the previous facility, meaning that the Bradbury Group can accommodate and distribute larger orders more quickly and efficiently. 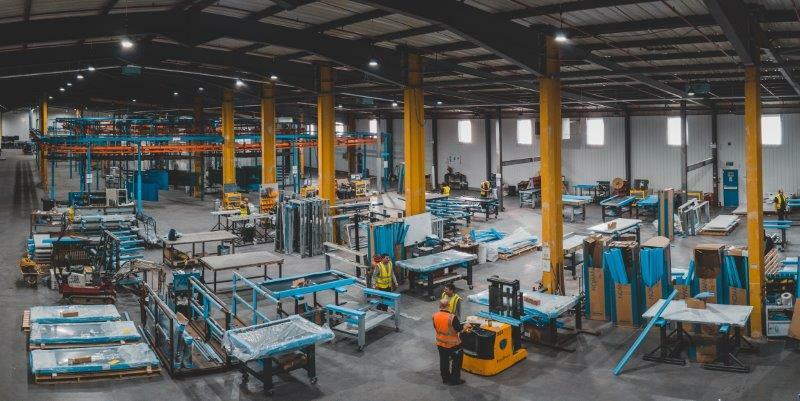 Last year alone, the business produced around 17,000 doorsets to clients throughout the UK, and with the capacity to produce circa 100 doorsets on the new system in an average working day, higher levels of production can be achieved to satisfy increased demand. 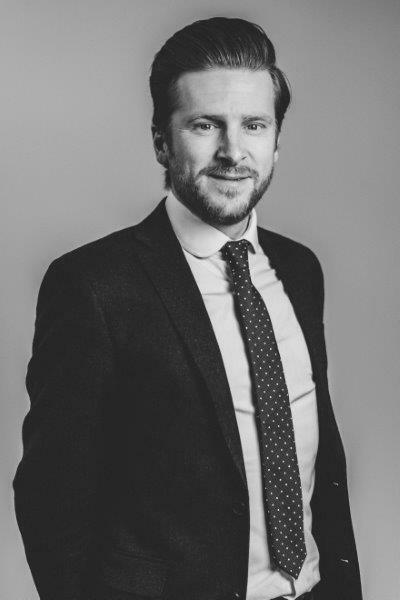 “Since 2010, Bradbury Group has secured a fivefold increase in turnover, and we predict a continued growth of around 20% per year. The Bradbury Group operates three divisions: steel door manufacturer Bradbury Security; Newton Security Doors, based in Scotland specialising in communal entrances in the public and housing sectors; and Martin Roberts, who have installed doors in some of the London’s most iconic skyscrapers, including the Gherkin, the Walkie Talkie and the Cheesegrater. The group produce an extensive range of steel doors, including Bradbury Security’s M2M range of security, fire, flood and acoustic doorsets, and provide security solutions to a vast array of sectors, including utilities, transport, retail, energy, commercial, finance, construction, and many more. Alongside steel doors, the Bradbury Group operates a grilles and cages arm of the business through their sister company, Cross-guard. 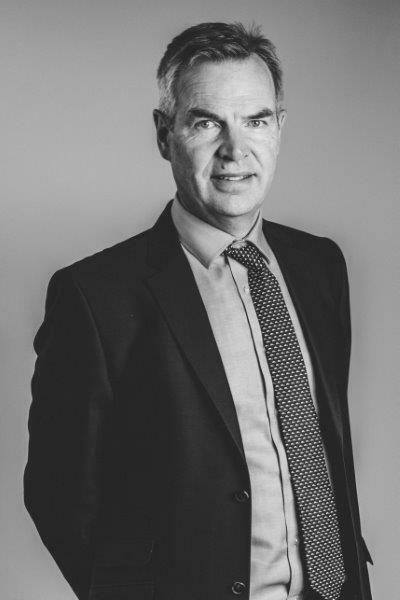 Paul Sweeting, Technical Director at the Bradbury Group, highlights the group’s ability to adapt to new markets as playing an integral role in keeping the business going from strength to strength over the years. Recently, the company have also been developing its export programme, and have built a strong presence in the Middle East. 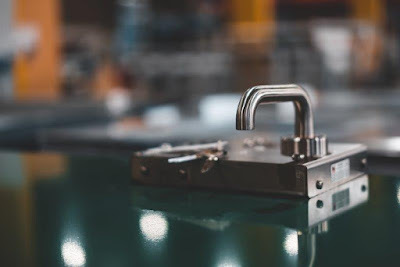 In line with the company’s vision to be ‘the world's best steel door manufacturer’, they are keen to expand the brand’s global presence, and have appointed a team dedicated to continuing the group’s growth internationally in the next phase of their expansion. Find out more at: www.bradburyuk.com or call 01724 271999.